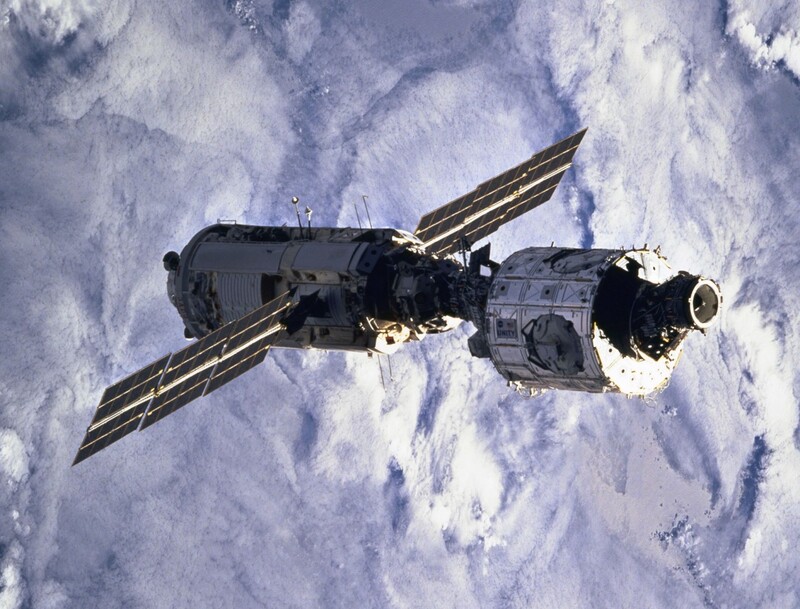 Zarya and UNity, the first two modules of the International Space Station (Credits: NASA). With an estimated price tag of $100 billion, the station is one of the most expensive objects ever built. Its construction also required over 100 rocket and shuttle launches, 160 spacewalks and involved contributions from the U.S., Russia, Canada, the European Space Agency and Japan. The story of its construction involves some of the most complex engineering feats ever attempted and the beginning of a new, cooperative approach to space exploration between countries, agencies and private corporations. On November 20, 1998, the Russian Zarya Control Module, the first piece of the station, was launched; it was designed to provide the station’s initial power and propulsion capabilities. The first American built component, the Unity module, followed soon after on December 4. After the installation of the Russian Zvezda module provided the station’s first living quarters, the ISS’s first crew came aboard in November of 2000. It included astronaut Bill Shepherd and cosmonauts Yuri Gidzenko and Sergei Krikalev. Though the three only lived on the station for just over four months, the ISS now maintains a permanent crew of six who live in orbit between four to six months. The ISS continued to expand into the new millennium, with the United States installing their Destiny laboratory module and Canada installing the Canadarm2 robotic arm in 2001. February 1, 2003, however, brought tragedy when the space shuttle Columbia disintegrated during atmospheric reentry, killing all seven astronauts onboard. In the aftermath, NASA instituted a space shuttle moratorium and construction of the station was halted for nearly three years. Finally, in July of 2006, the Discovery shuttle returned the ISS to deliver supplies and test safety procedures and the station’s completion resumed. The ESA’s $2 billion Columbus science lab was installed in 2008 by the Atlantis shuttle, further enhancing the station’s scientific capabilities alongside the American Destiny and Japanese Kibo labs. On November 2, 2010, the ISS marked the 10th anniversary of continuous human occupation since Expedition 1 back in 2000. Since then a total of 202 men and women have served aboard the space station. The International Space Station, nearly complete, in 2011 as seen by the crew of Discovery STS-133 (Credits: NASA). The beginning of the new decade saw the official completion of the space station, though additions are still ongoing. The Discovery shuttle’s final mission in February of 2011 delivered the Leonardo Permanent Multipurpose Module which contained an advanced humanoid robotic torso known as the Robonaut2. On July 8, 2011, the final space shuttle launch sent the Atlantis to the ISS to deliver supplies and complete construction. This brought the 30-year history of the American space shuttle program to a close since its first flight back in 1981. The absence of the space shuttle program has also helped create commercial space companies like SpaceX and Orbital Sciences Corp that have docked with the station to deliver supplies. In effect, the ISS helped spawn a new model for space exploration with private companies working alongside government agencies. It also helped countries other than Russia and the United States to further their own space programs and capabilities, making space exploration a more diverse enterprise. The ISS has already contributed many scientific studies, serving as a zero-gravity environment for a wide range of tests and experiments. Its greatest potential, though, remains the study of the long-term effects of space on the human body. 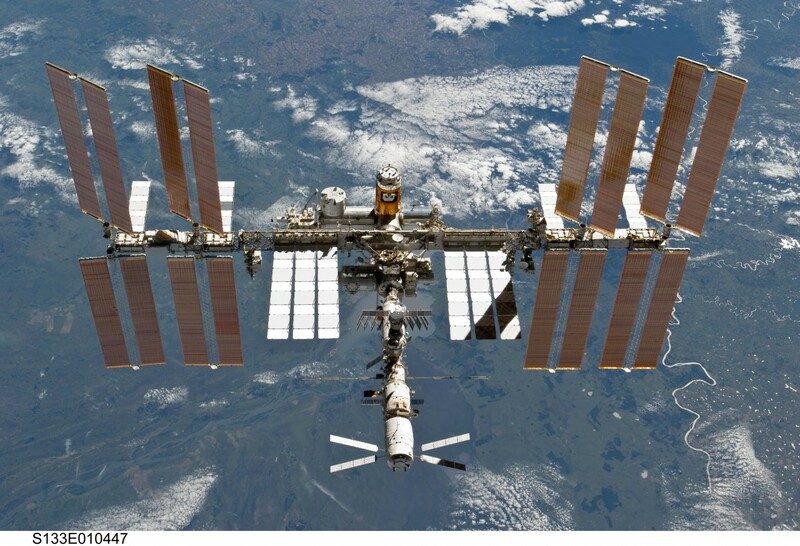 In anticipation of the deep space missions of the future, the U.S. and Russia are sending two men to live aboard the ISS for an entire year in 2015. Though it is slated to be deorbited into the ocean in 2020, the station’s full potential is just now beginning to be realized. 15 years after its first component was launched, the ISS remains unparalleled as a laboratory, engineering marvel and precursor to humanity’s future in space.